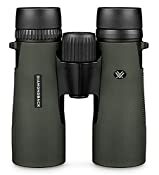 Your favorite Binoculars, the Vortex Diamondback, have undergone a complete redesign and become the 2016 New Diamondback. 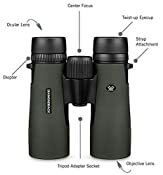 The redesign offers improved functionality, look, and optical system. The new sleek design features long clean lines and a shorter hinge, allowing more space to more easily and firmly hold. The improved chassis offers even more rigidity in the structure, without effecting the overall weight, coming in 3 ounces lighter than the original. 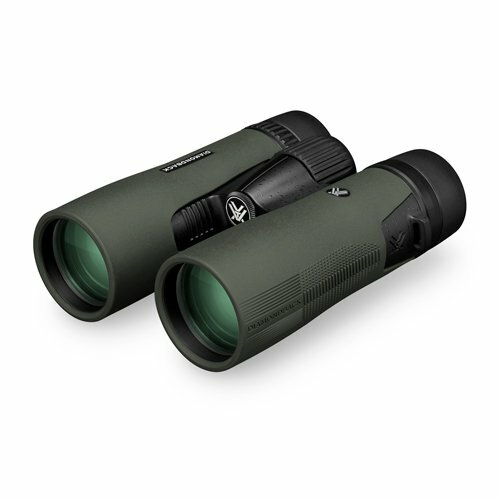 Additionally, the New Diamondback features a completely new optical features with enhanced, dielectric fully multi-coated lenses that serve up stunning views and impressive low-light performance - critical attributes when working to glass and evaluate game. With their ultra-wide, best-in-class, field of view, you can efficiently cover ground and acquire subjects with ease. 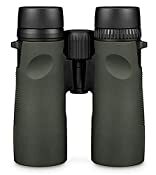 The D205 model features 10x Magnification, 42mm Objective Lens Diameter and a 15mm Eye Relief.